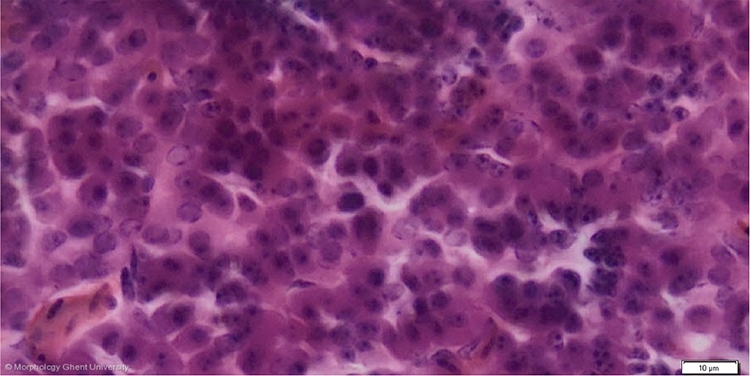 Type V cells, alpha cells or somatotrophs (STH): large spherical or ellipsoidal intensively stained acidophils with centrally-placed nucleus that produce STH. The intensity of staining diminishes with increasing age. Somatotrophs are largely restricted to the caudal zone of the adenophypophysis.